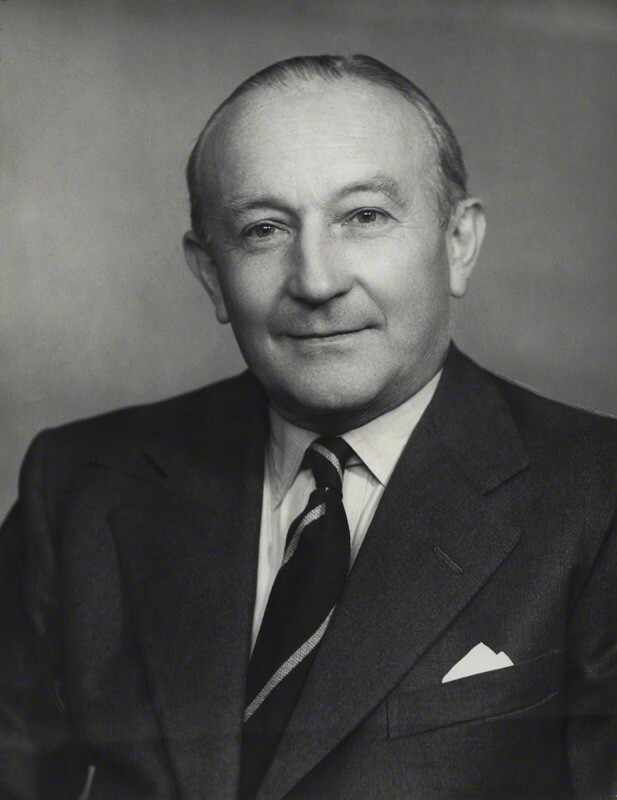 At the beginning of 1946 Frank Roberts 2 was British Minister in Moscow, acting as Chargé after the departure of the Ambassador; his American counterpart was George Kennan, who famously sent an 8000-word telegram to the State Department on 22 February 1946, analysing Soviet policy and recommending a strategy of containment to frustrate its aggressive expansionism. 3 Three weeks later Roberts sent an equally long and penetrating analysis to the Foreign Office in a set of reports including three telegrams on 21 March 1946. 4 The quotations below are taken from these documents unless otherwise stated. The two men agreed on many points: but aspects of Roberts’ reporting shed interesting light on the global context and on differences between the British and American approach to the USSR. Roberts, representing a weakened and exhausted power, sought to understand the Soviet Union in order to work with it; Kennan, representing a world superpower, sought to understand it in order to counter its ambitions. This is an over-simplification, but holds some truth. No one thought in March 1946 ‘this is the beginning of a long Cold War’, though it already seemed the postwar world was dividing on ideological lines, reinforced by military might. Less than a year since the end of the war in Europe, seven months since the dropping of atomic bombs on Japan, the victorious Allied powers were mired in fractious negotiations on peacemaking and institution-building. Europe was devastated physically and economically, with millions of people displaced; nationalist uprisings, civil wars and competition for scarce resources disturbed the peace on a global scale. The new world organisation, the United Nations, already seemed unlikely to fulfil the aspirations of its Charter. The wartime Allies−Britain, the US and the USSR−had lost their common purpose and with it the imperative to work together harmoniously. In 1945 the UK, US and USSR all thought they had won the war, individually as well as jointly, yet with the euphoria of hard-won victory came disappointment. American money and military might had transformed the struggle against the Axis powers after the US entered the war in December 1941, but when peace came the rest of the world seemed chaotic, unstable and needy, reluctant to pick itself up and let the US alone to mind its own business. Britain felt its monumental efforts since 1939 had been rewarded by bankruptcy and crippling global responsibilities, rather than the chance for domestic reconstruction. For the Soviet Union, invaded by Nazi Germany in June 1941, the hard-fought battles that secured victory on the Eastern Front and thereby ensured success in the West had been won at immense human and economic cost. The reward, in Stalin’s eyes, was to be marginalised by the Anglo-American special relationship, excluded from the atomic club and pressurised by a capitalist expansion alien not just to Soviet Marxist ideology but to economic recovery. The result was resentment, suspicion and, in Roberts’ words, ‘high-handedness’. Roberts understood that the Soviet Union wanted to resurrect the Big Three, for reasons rooted in geography, history and ideology, as well as prestige. Before the wartime alliance, both Britain and the US had spent the years since the 1917 revolution opposing the Bolshevik system and hoping it would not last. Just as it was impossible for the Soviets to forget Allied intervention in the Russian civil war after 1917, it was impossible for Britain and America to forget that Stalin had signed a pact with Hitler in August 1939. Nor could the British Government forget unremitting Soviet efforts to inspire revolt and revolution in the Empire, especially in the context of postwar revelations of ongoing espionage activities. Difficult memories suppressed during the 1941-45 Alliance returned thereafter on both sides to poison the wells of cooperation. History, as Roberts pointed out, showed that Britain and Russia could be brought together by a shared ‘deadly menace’, as they had been in 1812, 1914 and 1941. But it was also a powerful barrier to working with a regime underpinned by the ideology of world revolution. Roberts emphasised the importance of ideology in Soviet policy, together with Russian national tradition. Stalin supported this approach for domestic political reasons as well as ideological ones. It was useful to give the impression that the Soviet peoples were ‘surrounded by a hostile world composed largely of reactionary capitalists and their willing tolls in the social democratic movement’. A ‘foreign bogey’ justified the maintenance of a strong Russian army, a rigidly controlled political system, isolation from the outside world and pressure on the populace to fulfil the five-year plan for economic recovery. It increased confidence in the regime and gave it space to consolidate power. Yet though Soviet policy was fundamentally hostile to Western liberal, democratic capitalist and imperialist conceptions, Roberts thought it ‘possible, though difficult’ to reconcile British and Soviet aims, ‘granted the right mixture of strength and patience and the avoidance of sabre-rattling or the raising of prestige issues’. It was a constant theme of his advice from Moscow, and undoubtedly influenced the way Foreign Secretary, Ernest Bevin, approached policy towards the Soviet Union. Bevin and Attlee took a much less rigid ideological approach than the US Government (which, indeed, mistrusted Britain’s ‘socialist administration’). (There were to be deep Anglo-American divisions over Communist China.) Stalin, however, disliked Britain’s ‘bourgeois liberalism’ much more than naked American capitalism: Roberts reported that Bevin was regarded like Trotsky−as a ‘very important but dangerous and hostile personality’. Are we in for a permanent gale or a short squall? Bevin asked Roberts this question on 12 March 1946, in response to a JIC report concluding that ‘although Soviet intentions may be defensive, tactics will be offensive’. Roberts’ telegrams of 21 March 1946 formed part of his answer. He was clear that ‘all Soviet tactics are short-term, but their strategy, although flexible, is definitely long-term’. The timing of short-term Soviet moves was usually informed by an assessment of the state of Anglo-American relations. The Soviet regime was dynamic and it was still expanding. But it did not want to achieve that expansion by armed conflict unless forced to it, or if it occurred through miscalculation. In fact, there were signs in March 1946 that the Soviets wanted to reduce international tension, evacuating Bornholm, withdrawing forces from Manchuria, establishing diplomatic relations with Switzerland. Roberts thought these moves designed partly to deflect Security Council criticism, and partly because ‘Soviet policy has overreached itself recently’. In Roberts’ view, in dealing with the Soviets there would clearly be a long-term requirement for navigating stormy seas. Sometimes oil might be poured on troubled waters; sometimes the storm must be ridden out. In all cases, it would be Anglo-American solidarity that kept the ship on an even keel. It was a course that would be followed skilfully by Bevin in the next three years. 2. F.K. (later Sir Frank) Roberts, 1907-1997, had a long and distinguished diplomatic career, including as HM Ambassador in Moscow 1960-62. He served as Minister in Moscow from January 1945, acting as Chargé on a number of occasions until early 1948 when he returned to become Bevin’s Principal Private Secretary. 4. Roberts’ despatches and the 21 March 1946 telegrams are printed in Documents on British Policy Overseas, Series I, Volume VI (London: HMSO, 1991), Nos. 79-87. I THINK THAT IS PROBABLY ONE OF THE MOST INTELLIGENT ANALYSIS I HAVE READ ABOUT THE COLD WAR. WE NEED A FURTHER ANALYSIS TO BRING IT UP TO DATE SO THAT WE CAN HAVE A COLD ANALYSIS OF MR PUTIN'S MINDSET.